This was the queen of the fleet in 1962. 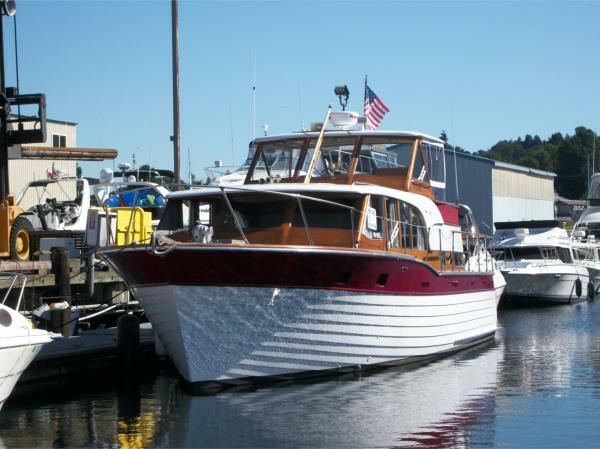 "Vixen" is a 43' Aft Cabin Tollycraft. 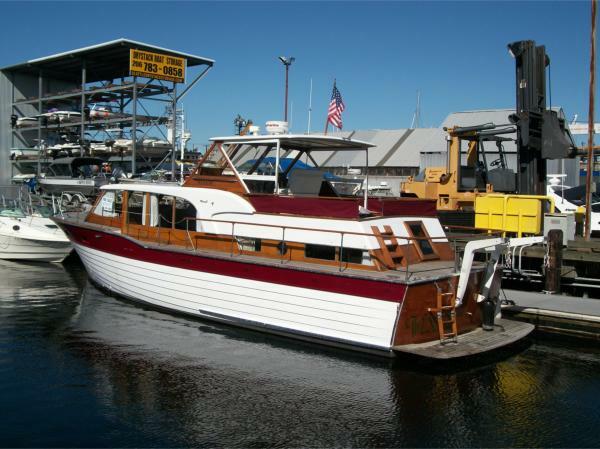 A classic cabin cruiser built of wood by Tollycraft in Kelso, Washington in 1962. 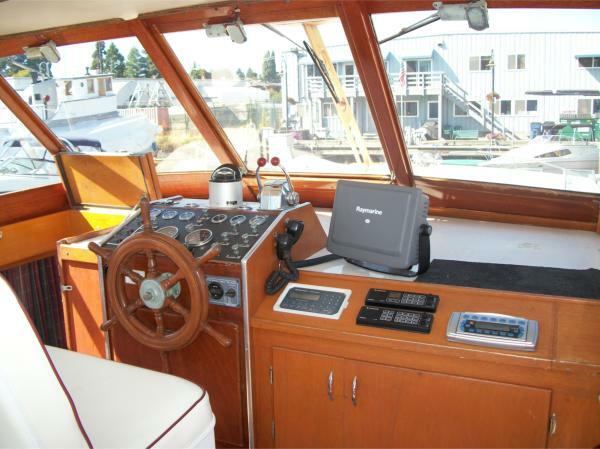 Centerline length (Bow to Transom): 43' 3"
Electronics include: new Raymarine E120 multi-function color display with GPS Chartplotter, radar, and color depth sounder. VHF - Standard Horizon Infinity, loud hailer - Standard Horizon. 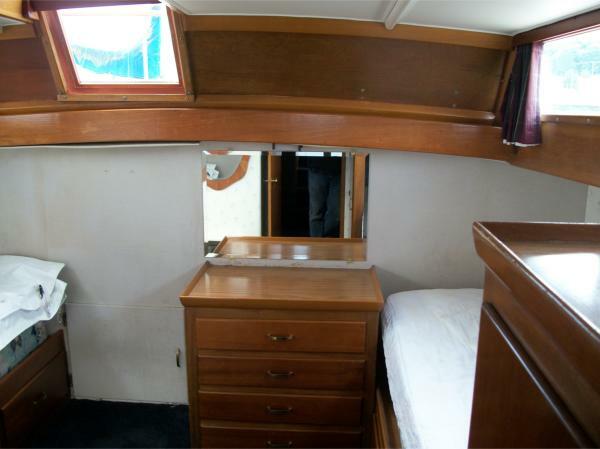 A very spacious three (3) cabin, two (2) head boat with rich natural wood finishes inside and out. The open foredeck ties into wide side decks that run aft past a large main cabin forward and completely around the fly bridge aft. 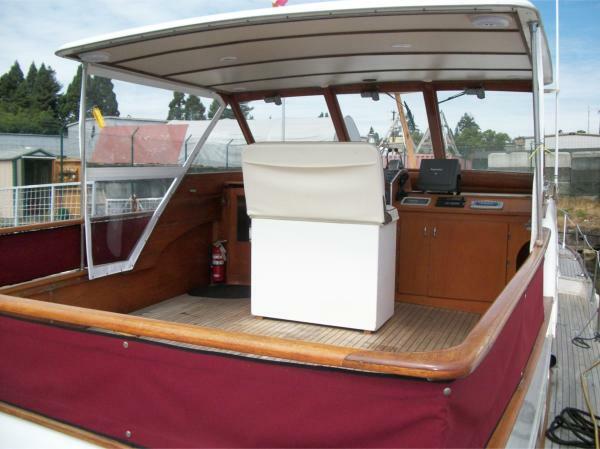 The flybridge is located over the aft cabin. 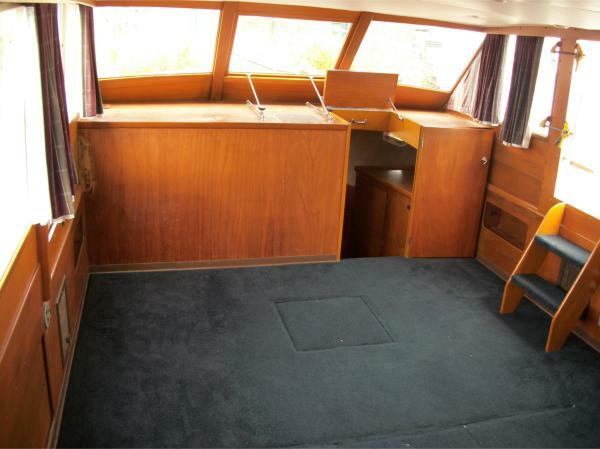 All decks are teak. Hull and house are mahogany. 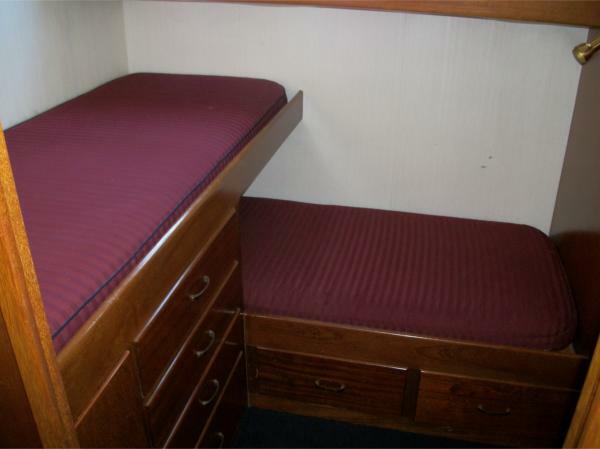 Forward is a v-berth stateroom w/private head. 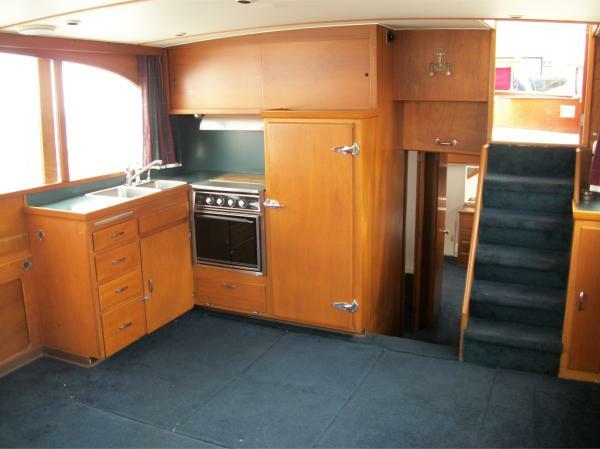 Aft and to port is large salon area. To starboard is salon and then galley. 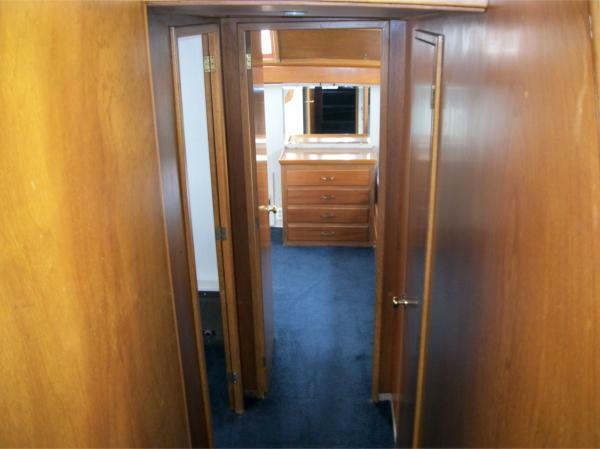 Aft of the galley/salon area on the starboard side is a private stateroom with two (2) twin bunks. 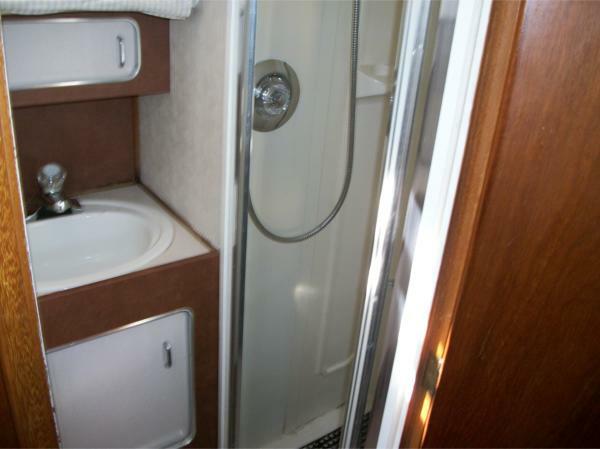 Aft of the salon area to port is the aft head w/stand up enclosed shower. 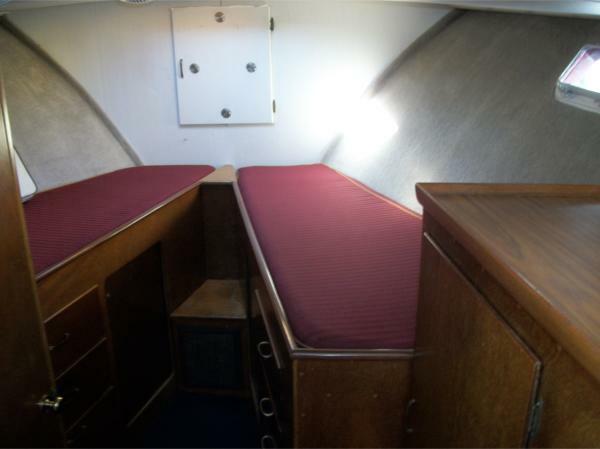 Aft of the twin bunk stateroom and the full head is the full beam aft cabin with two (2) twin bunks. New blue underwater lights in 2010.